Neurozapper – Smarter World, Smarter you! We can increase our mental capacity and eventually we will create ways that will help us do so. We believe that wearable neuro-gadgets will be in a near future very popular, people will be utilizing them to enhance mental functions and to link brain thoughts to secondary technology. The idea is to help people become smarter ! Humans need to improve their mental capacity faster to couple better with the increasing faster speed of our technological systems. Technologies such as AI can help humans achieve more, but our biological brains have to become smarter. Humans throughout history have developed gadgets to aid our performance, from simple gadgets to complex systems, improving our mental capacity is the next step in our evolution. Neurozapper products were sold to more than 50 countries around the World and new products are currently being developed. Human nature is all about exploration, discovering new lands and opportunities to innovate. Space is the next frontier, we need to explore new planets that can become alternatives for our Earth, and enhancing our mental capacity is key for Space exploration. Neurozapper is a TradeMark of Gladius Electronics, a London startup.  Neurozapper is attempting to develop simple and practical technology that can aid and enhance peoples’ mental abilities.